The next of our focus features looks at Formula E returnee Simona de Silvestro, who has joined the Venturi team as test driver and will participate in the in-season test following the Ad Diriyah E-Prix. Cecilia Demartini takes a look at the Swiss driver. 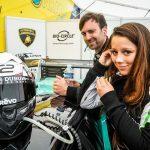 It’s not often we hear about women in motor racing. Formula E has given us the chance from inception to use all of our senses, not only to hear about female drivers but also to see them in action, racing at the best street circuits in the world. Innovation has turned out to be a keyword to the all-electric series. Formula E has taken us to places motor racing had never been before, introduced us to experienced drivers who have found in the series their chance to show what they have up their sleeve, and what a pleasant surprise it’s been. Motorsport is an extremely competitive field where Formula E is becoming a natural step forward to young talents as well. Drivers who share the same goal, they all want to win of course, but moreover people who share the same spirit of commitment. Indeed, the electric single-seater has also become a very lucrative business but ‘the apple doesn’t fall far from the tree’. The once unknown series became a platform everyone wants to be involved with, but yet this electric revolution runs in the family within each generation. The family is no other than those who dare to give everything for an electric future. We are about to meet the Gen2, fully committed to taking electric street racing into another level. In only four years we’ve seen many drivers coming and going. The in-season test scheduled for 16 December, a day after the opening race of season five, which is also the first in Saudi Arabia, is taking the series further, racing in a new country and having seven female drivers taking part in the test. 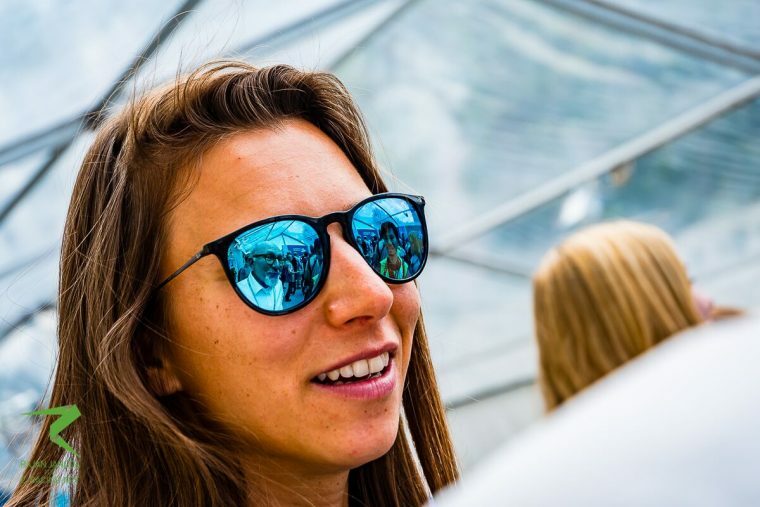 Simona de Silvestro is one of those seven drivers, and she’s making a comeback in style but if you are not familiar with the story behind the driver, first let me introduce you to “Swiss Miss”. de Silvestro started her career in motorsports back in 2008 in America. Soon, she was testing for the IndyCar series, only to launch a role as a full-time driver in 2010 when she also qualified for the Indy 500, being recognized as Indianapolis 500 Rookie of the Year. She continued to race in the series until 2013 when she set another achievement, her first podium in IndyCar, as she finished second at the Houston Grand Prix. Only two other women have achieved a podium finish in the series before, and those were Sarah Fisher and Danica Patrick. In 2014 she became an “affiliated driver” with Sauber Formula 1 team, but never got the chance to get a full-time drive seat within the team, so she came back to America and then Formula E happened. Her experience in different series’, Formula E included, and remarkable results have made her a successful driver. Last week, Venturi announced de Silvestro as its test driver for the upcoming season five. She first entered Formula E to drive for Andretti Autosport at the double-header London E-Prix which also served as the season one grand finale. 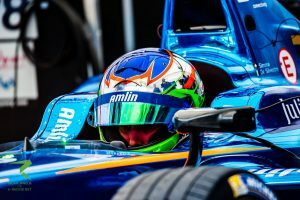 Later on 2015, she was back with the team (by then renamed Amlin Andretti) ready to start season two as a full-time driver, and it was during the 2015/2016 season that de Silvestro became the first woman ever to score points in Formula E after finishing in ninth place at the Long Beach E-Prix. That same season, she also finished in ninth place at the Berlin E-Prix, scoring more points. After signing a three-year contract with Nissan Motorsport in 2016, she moved to the Virgin Australia Supercars Championship. Nissan has been the first manufacturer to commit to the international series regulated by the Fédération Internationale de l’Automobile (FIA). This year, she achieved her personal-best results in the series. Behind the wheel of her Nissan Altima #78 car, driving for the Team Harvey Norman, she completed 30 out of 31 races of an extremely demanding championship (the biggest calendar in the championship’s history). de Silvestro wound up 23rd in the overall standings after the championship came to an end this weekend at the Newcastle Street Circuit with a double-header race. It sets the end of an era for Nissan with Altima as the brand is leaving the championship, de Silvestro has confirmed she’ll continue to race in the series next season along with her role in Formula E.
“I’m delighted to make my return to Formula E as a test driver for Venturi Formula E Team and I’m grateful to Susie and Gildo for the opportunity,” she stated. 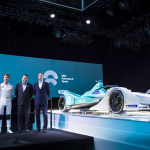 “Since competing in season two, I’ve kept a close eye on the Formula E championship and followed its development with interest. The arrival of the new Gen2 car represents a huge milestone for the series and I am very happy to be back in an active role at this exciting and important time. I can’t wait to get behind the wheel of the Gen2 and to putting my experience to good use helping VENTURI Formula E Team with track testing and simulator work. Venturi President, Gildo Pastor, also talk about the importance of the new addition to the team, saying: “Simona de Silvestro is a safe bet in motorsport. I’m convinced she’ll make a big contribution to Venturi Formula E Team. Her determination and experience are real assets for us.